EINs are to businesses what Social Security numbers are to individuals. 3. Is My Tax ID the Same as My Social? The Employer Identification Number -- EIN -- is a tax identification number the IRS issues to private and public businesses, whether they operate for profit or not. EINs start with a two-digit prefix followed by a hyphen and seven more digits. 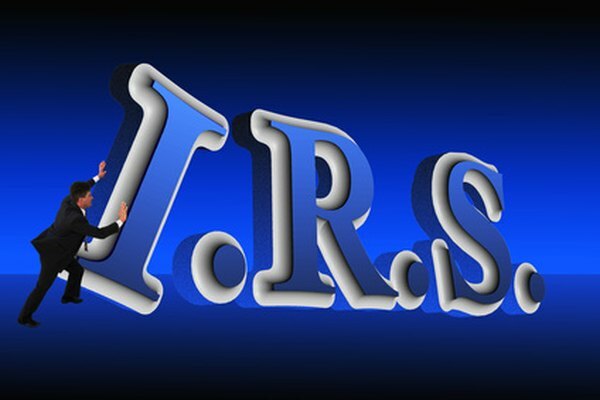 In its literature, the IRS addresses the significance of the prefix only, which in 2001 changed meaning. You may obtain an EIN from one of 12 different sources, which the IRS calls “campuses.” They include 10 geographic locations, as well as the Small Business Administration and the Internet. Nowadays, the two-digit prefix in an EIN indicates which of those 12 locations issued the federal identification. Before 2001, the first two digits referred to the place where your business was located. The Internet possibly provides the simplest way for you to obtain an EIN for your business. Yet, it has its limitations. If the responsible party in your business, under whom the EIN will be issued, previously obtained another EIN online, he may not apply for a tax identification number for your company via the Internet. He must call the IRS at 800- 829-4933 or fax or mail Form SS-4 to the revenue agency. If you do get your EIN online, expect your federal tax identification number to start with 20, 26, 27 or 45, the prefixes given to Internet applications. Whether you apply for an EIN by fax or mail, you need to submit a completed IRS Form SS-4. Among other things, the one-page application asks for the name of the business and of its responsible party, the company’s address, the type of activity the business conducts and what type of entity it is, such as an LLC, sole proprietorship, church or nonprofit. If the company is in one of the 50 U.S. states, fax the SS-4 to 859-669-5760. For businesses in other locations, send the form to 267-941-1040. Likewise, for a company located in one of the 50 states, mail the form to Internal Revenue Service, Attn: EIN Operation, Cincinnati, OH, 45999. If your company operates from elsewhere, forward the application to Internal Revenue Service, Attn: EIN International Operation, Philadelphia, PA, 19255. Regardless of the method you use to apply for an EIN, you have to indicate who the responsible party is for your business. The IRS defines that person as, “the true principal officer, general partner, grantor, owner or trustor” who has the power to control how the company’s cash and other assets are handled. The EIN application must include the responsible party’s own tax identification number. Do H-2A Visa Holders Pay Social Security Tax? What Does the Dot in a Ticker Symbol Mean?